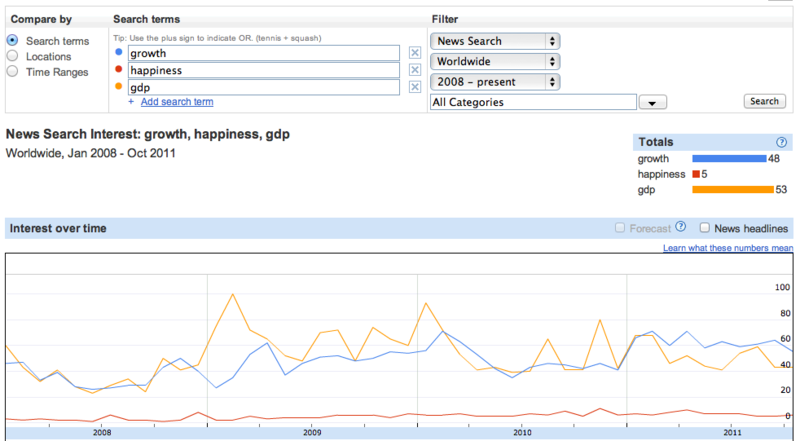 Figure 1.1: Google Insights comparison of the search terms ‘economy’, ‘happiness’ and ‘GDP’ between 2008 and 2011. 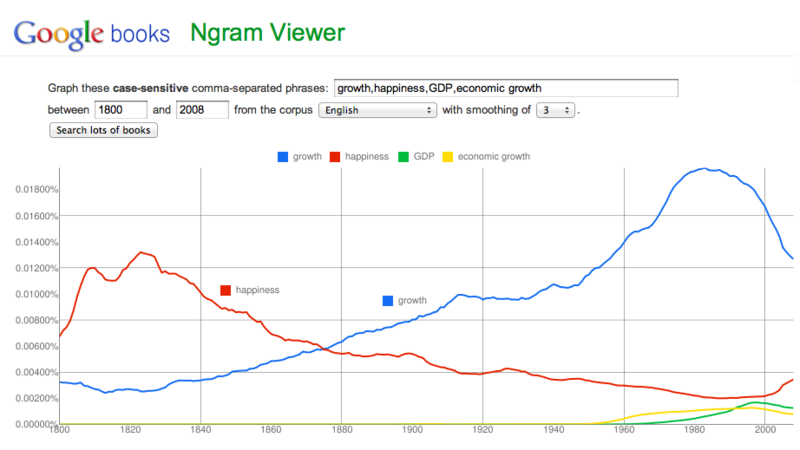 Figure 1.2: Comparing ‘happiness’ and ‘growth’ over time with n-grams. Courtesy of Google. 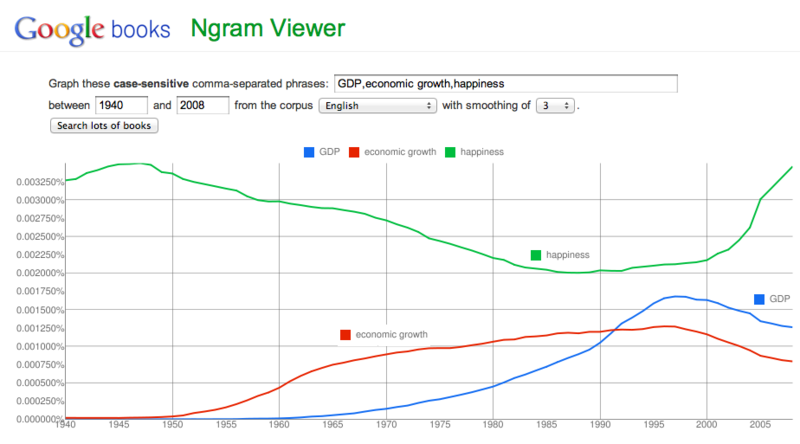 Figure 1.3: GDP, economic growth, and happiness from 1940 to 2008. Courtesy of Google. Quantitative Analysis of Culture Using Millions of Digitized Books, Jean-Baptiste Michel, Yuan Kui Shen, Aviva Presser Aiden, Adrian Veres, Matthew K. Gray, William Brockman, The Google Books Team, Joseph P. Pickett, Dale Hoiberg, Dan Clancy, Peter Norvig, Jon Orwant, Steven Pinker, Martin A. Nowak, and Erez Lieberman Aiden, 2010. Science. Does Economic Growth Improve the Human Lot? Some Empirical Evidence, Richard A. Easterlin, 1974. University of Pennsylvania. The happiness-income paradox revisited, Richard A. Easterlin, Laura Angelescu McVey, Malgorzata Switek, Onnicha Sawangfa, and Jacqueline Smith Zweig, 2010. Proceedings of the National Academy of Sciences. Money Doesn’t Make People Happy, 2006. Forbes. Psychology 110 Lecture 20 – The Good Life: Happiness, Prof. Paul Bloom. Yale University. The Robots Will Steal Your Job, But That's OK Audiobook is released under a Creative Commons — Attribution-NonCommercial-ShareAlike 3.0 Unported license. Feel free to use any or all of it as long as you link back to http://thenexus.tv/rsj13, you do not use it for commercial purposes, and you release any derivative works under the same license.